A brand new story is arriving this March! 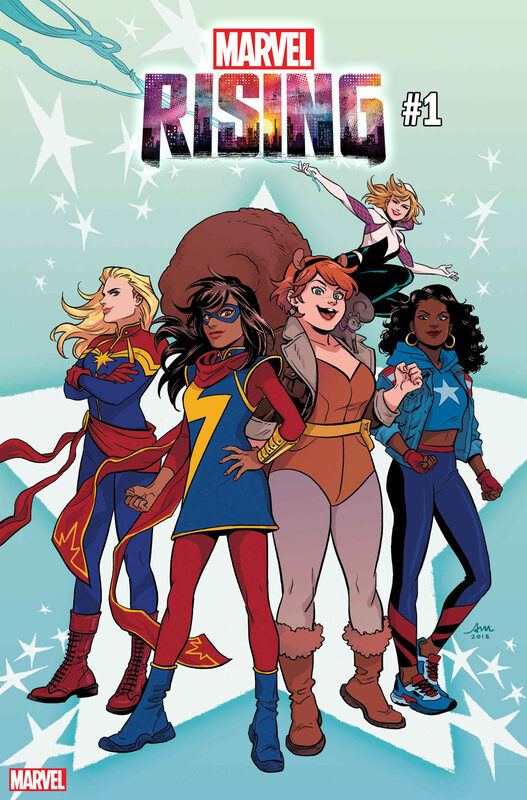 New York, NY—December 13, 2018—This March, a titanic team-up arrives in the form of an all-new adventure with the unbeatable duo of Kamala Khan and Doreen Green! But even heroes need a little help sometimes! Join Ms. Marvel and Squirrel Girl along with Spider-Man Miles Morales, Dante Pertuz (a.k.a. Inferno), America Chavez, and Daisy Johnson (a.k.a. Quake) for an all-new action packed adventure this March in MARVEL RISING #1!